Greetings from the world of Dolphin Waters Healing! 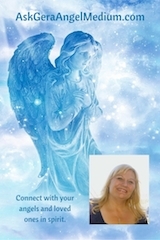 As I explore the world of angels, dolphins, fairies and energy, I want to share what I have learned. It’s been so much fun the past few years. I’ve been talking to my angels for about 15 years now. And talking to my pets came pretty easily once I had the angels online. Lately I’ve expanded my network to dolphins and fairies! Sure the angels are funny and tease me a lot and make me laugh, but the dolphins crack me up! The fairies are just light and fun and do some nice healing work of their own. The dolphins do have a serious side too, especially when they give me a dreamy meditation for relaxing and opening up. I’ve started getting those lately, which they give to post on my Facebook Fan Page in the notes section. I’ll start posting some of them here too. It’s nice to come back and read them again for a little dreamtime. So put on some ocean waves music, grab a cuppa tea, relax and enjoy the loving energy of the world of angels and elementals that’s all around us.